One fast man, one large jumper. Junior Jack Meigel is a long jumper for the track team. He is a talented jumper who has the ability to jump over 6 feet. 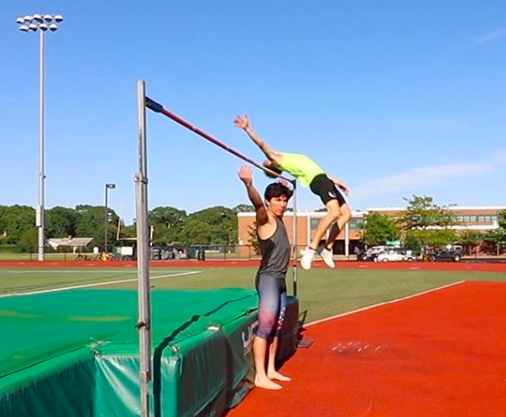 Last year, Jack competed in the Emerging Elite high jump. He came in 24th and jumped 6’ 2” and 1/4 inches. He also went to Nationals last year. It was the first time in Hurricane history that a sophomore attended Nationals. Jack also competes in hurdles. He placed 4th in the county for the 110-meter high hurdles with 16.73 seconds. One of Jack’s former teammates, Laurence Barr-Forget, also helped him out with the high jumps. Barr-Forget went to the Section XI Championships, otherwise known as the state qualifier, for pole-vaulting. He beat the school’s record with 14 feet 8 inches. Jack Meigel has overcome many obstacles in the last few years. He took all his losses and made them to lessons for the future years. Sooner or later, he’ll be running and jumping and making history for our school once again.